[SatNews] A disused satellite station that once helped Britain lead the way in global communications is to be re-opened—after the center was purchased for 4 million pounds by a former worker. 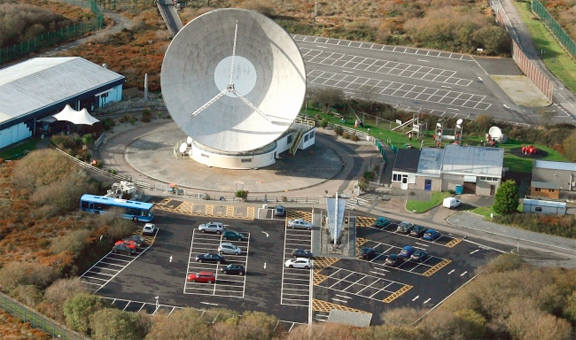 Photo of Goonhilly Earth station. Goonhilly Satellite Earth Station received the first live transatlantic television broadcast from the USA in 1962 and handled billions of phone calls. Built in 1968, its 960 ton Antennae Two dish was used to beam images of the Apollo 11 moon landing, the Live Aid concert and the 1984 Olympics around the globe. Goonhilly was shut down in 2007 when maintenance became too expensive. However, now a former employee plans to bring the famous center back online after learning it was due to be sold off last year. Ian Jones, a satellite communications engineer turned entrepreneur, worked at Goonhilly in 1980s and is determined to save the 157-acre site on the Lizard Peninsula in Cornwall. There are 20 satellite antennas at Goonhilly and Ian’s investment will see six new antennas built as part of a five-year plan to upgrade the site. The base’s aging equipment hasn’t been updated for 20 years, but Mr Jones believes he can restore Goonhilly to its former glory as a global telecommunications hub. 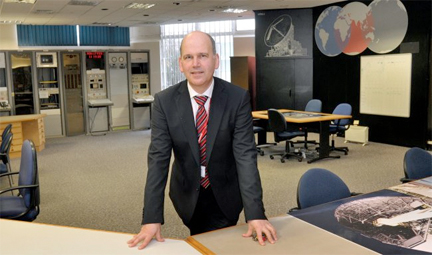 Ian Jones, former Goonhilly engineer, turned would-be owner of the Earth station. After assembling a team of three directors, Mr. Jones began talks with BT to take a short-term lease on Goonhilly. Having proved the financial case, the business then had to complete negotiations to take over the long-term lease from BT, a lengthy process that was only agreed last month. As part of the deal with BT, about 50 of the company’s engineers will remain at the site and Mr Jones hopes to expand the staff in the future. In its hey day, about 350 people were based at Goonhilly, which offered a hub of well-paid jobs to West Cornwall. Ian says it could employ the same number again and believes it could be an important center for space communications. The site also houses a satellite communications base for technology firm Avanti. Thanks to senior contributor Bob Gough for the story.